Summer is almost here, and most of the country will soon be bathed in summer heat. Here in Florida, we’ve already gotten a taste of the warmer temperatures, with more to come. However, prolonged or intense exposure to high temps can lead to a host of heat-related illnesses. How does this happen? Your body naturally cools itself off through sweating, but it has to work overtime in the extreme heat. As it tries to do this, blood rushes to the surface of the skin, reducing the blood going to your brain, muscles and other organs, ultimately affecting your physical strength and mental capacity, which is why it’s important to understand the effect of heat-related illnesses. 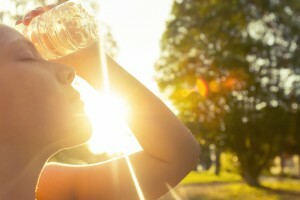 Among the more serious heat-related illnesses are heat cramps, heat exhaustion and heat stroke. Heat cramps are muscle pains that might occur in association with strenuous activity. They can also be a first sign of a more serious heat-related illness, such as heat exhaustion. They are painful muscle cramps or spasms usually in the legs or abdomen. They might also be accompanied by heavy sweating. 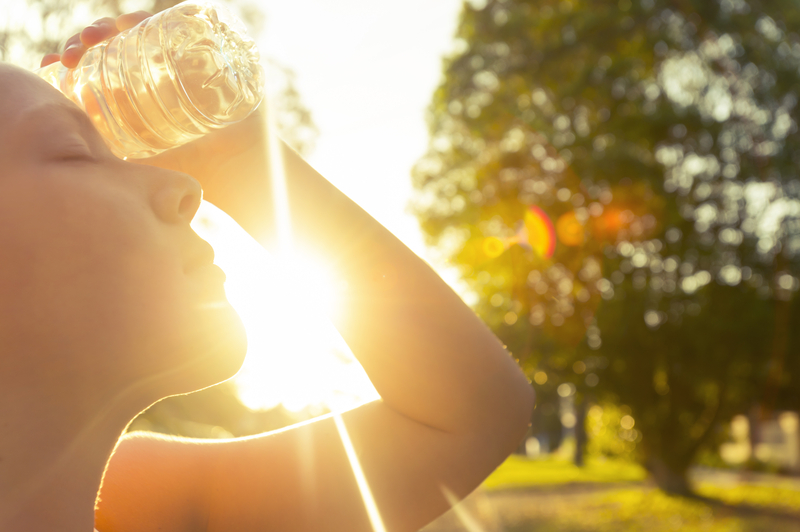 Heat exhaustion can result when you lose large amounts of fluids and salt through excessive sweating, which can occur if you’re exercising or doing physical work in the heat. Symptoms of heat exhaustion include heavy sweating; weakness; cool, pale, clammy skin; fast or weak pulse; dizziness; and nausea or vomiting. You might also have muscle cramps. Heat stroke is serious stuff, and it requires immediate medical attention. If not addressed, it could lead to permanent disability and even death. Heat stroke is the result of the body’s inability to regulate its internal temperature, and excessive internal temperature can damage the brain and other organs. Signs of heat stroke include changes in mental state, including confusion; hot, red, dry or moist akin; a body temperature above 103 degrees F and a rapid pulse. You also might have a throbbing headache, dizziness and shallow breathing; and in more severe cases, you might faint or lose consciousness. If you notice symptoms of a heat-related illness, get out of the sun. Move to a shady place outside or go indoors to escape the heat. Loosen any restrictive clothing and apply cool, wet cloths to the skin. Ice or cold packs placed in the armpits, neck and groin areas also helps lower temperature. Slowly drink cool fluids. If you suspect heat stroke, seek medical attention immediately. With a little advance planning and some common sense, most episodes of heat-related illness can be prevented. Here are a few tips to help you prepare for the hot summer sun. If you’d like more tips or a little more detail, check out this article. Keep yourself well hydrated with cool fluids. Don’t wait until you feel thirsty to take a drink. Dress appropriately in lightweight, light-colored and loose-fitting clothing. And don’t forget your sunscreen. Plan your most strenuous activities for the coolest part of the day. Consider your diet. Try a sports drink to replenish the salt and minerals you lose when sweating. Avoid hot foods and heavy meals to lessen the heat your body naturally produces. If you’re not used to the heat, give yourself time to adjust to it before spending an afternoon in the sun. Don’t forget Fido. Keep pets cool by making sure they have shade if they’re outdoors, and give them plenty of fresh, cool water. Take the time for a few precautions, and you can survive the summer heat no matter where you live.